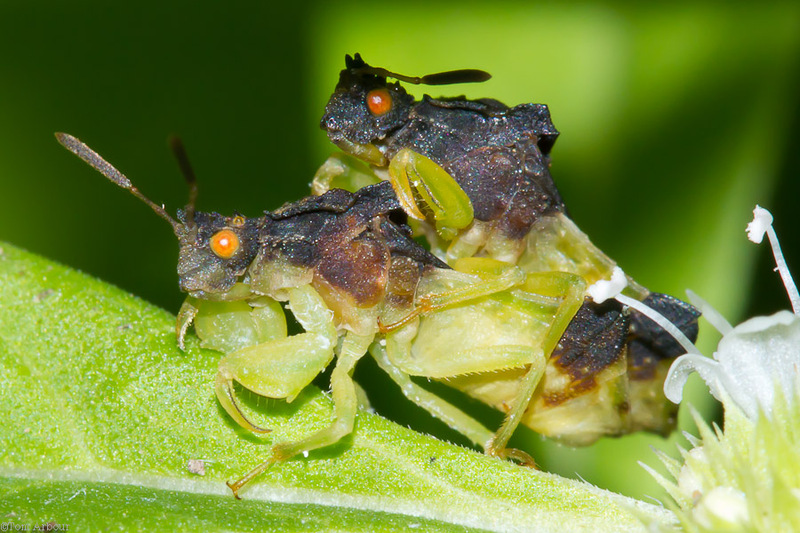 Yesterday evening about this time I saw Seabrooke Leckie's find of the day- a mating pair of ambush bugs. Love must be in the air, because today I came across a pair here in Ohio. I love how these insects just appear to stare right into the camera. They have that look like they're looking right through you- as if you weren't even there. Take a look at this one that was our "pet" two years ago- it has the same stare, it's just bright yellow.